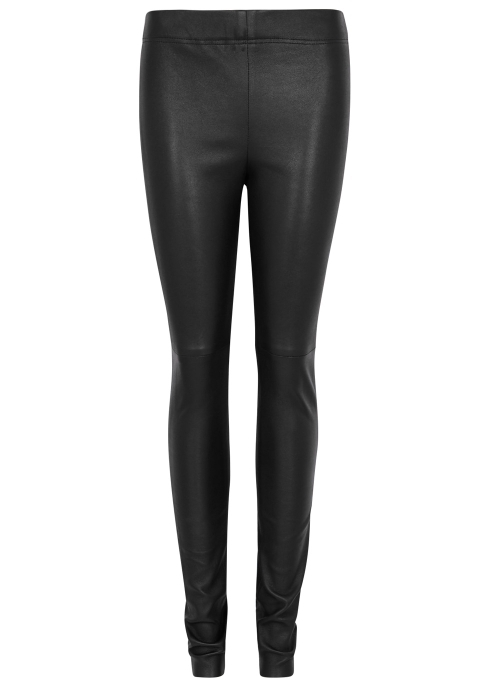 Leather leggings, now there’s a wardrobe investment that you’ll never regret. I have had mine for years and there is no denying they were a LOT of money for a pair of trousers, but I have definitely got my money’s worth over the years. They are so comfortable, always look good, never go out of fashion and are lovely and warm in the winter. 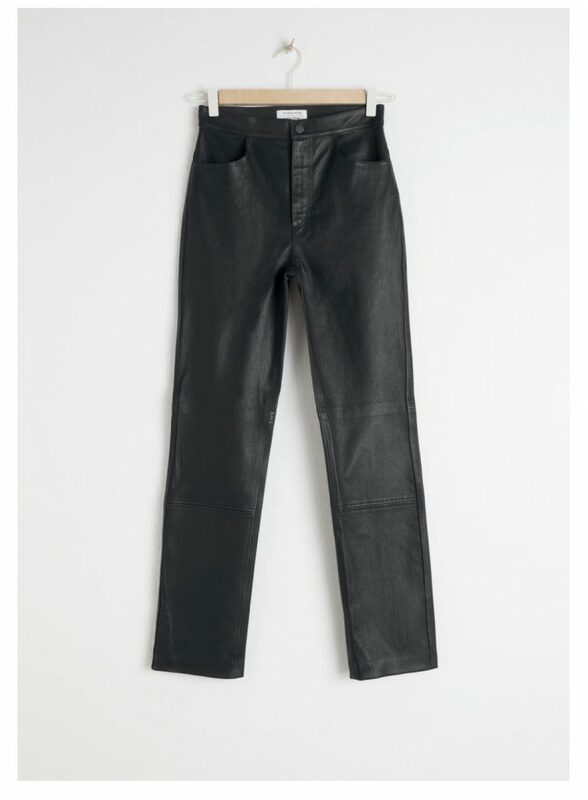 I should add that because they are real leather, you never experience that sweaty, boil-in- a-bag feeling that you get with faux leather trousers. These are the pair I have. They feature a comfortable elasticated waist, unfinished cuffs meaning you can chop to suit your leg length and a clever design with a join above the knee to avoid bagging at the knees. I really love my pair and took a size 6. They would always recommend specialist cleaning, but I can assure you that I wash mine in the washing machine on a 15 minute cycle at 30 degrees and they are absolutely fine. I don’t wash them very often and find that a baby wipe is a good way to spot clean any marks you get (mine are usually from make-up fingers!) I have never taken mine to a specialist dry cleaner. I have tumble dried my leather leggings, and they were absolutely fine but I have been told that the heat can melt the stitching so do be careful. I tend to dry mine in our boiler room. I don’t have these but they are extremely popular and I have been told they are a great fit. Sadly only size 6 left but do check back as they are sure to restock. Since my post I have had lots of messages to say how fabulous the Baujken version are. Apparently they regularly have a 15% discount offer. 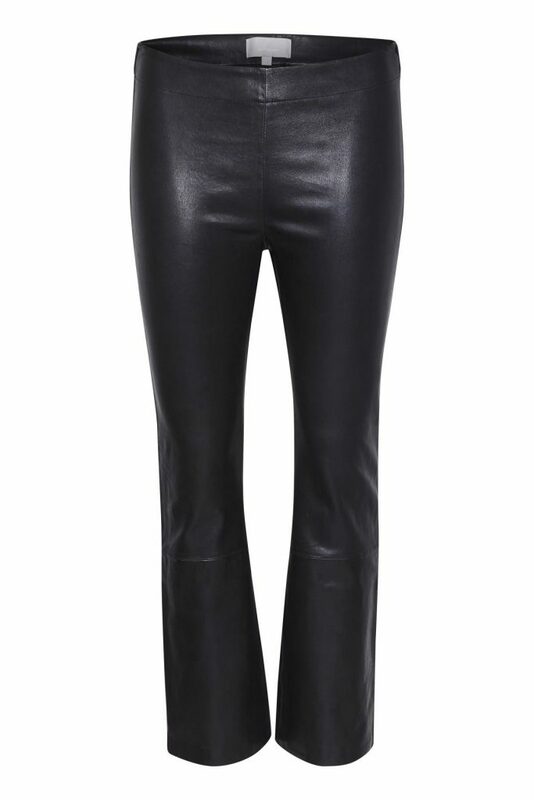 Joseph leather leggings are supposed to be the cream of the crop, so these are a bit of a steal price wise. Still expensive though! Another pair that came highly recommended were these from a brand called Inwear. Not a brand I had heard of, but if you are looking for a pair with a straighter leg, then these would be a good option. If you prefer more of a smooth, shiny leather, then these are a really lovely shape and perfect for those that aren’t blessed with tall gene. 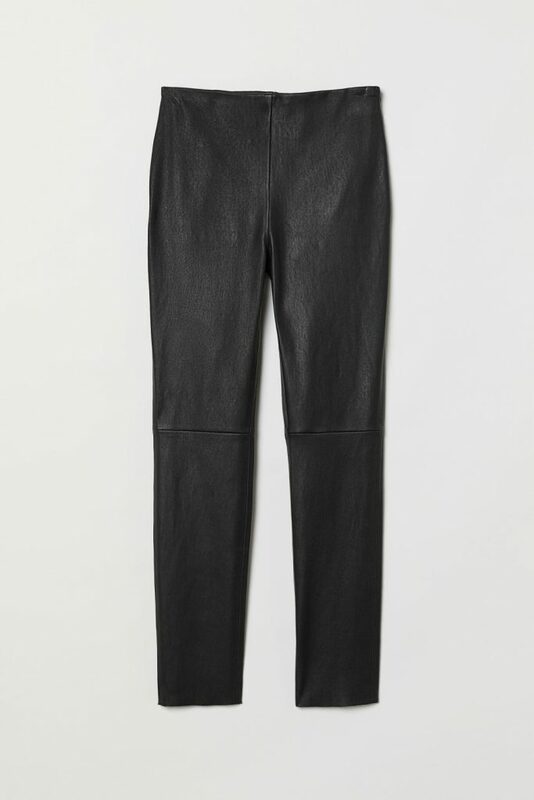 The high street offering…Personally, I think if you are going to invest in leather leggings, then I think you should wait and save up a bit more for a good quality leather, but I thought I would include these anyway. I think that’s probably enough to be getting started with. I would always go for a snug fit, as just like denim, they will stretch with wear. I have had lots of messages from people today asking if I had finally found my beloved YSL sunglasses. I wish I could say yes. I have missed them so much, so I decided to replace with an inexpensive copy from Next for £10. Sadly they appear to have sold out, but Mango still have these if you are looking for an inexpensive pair. 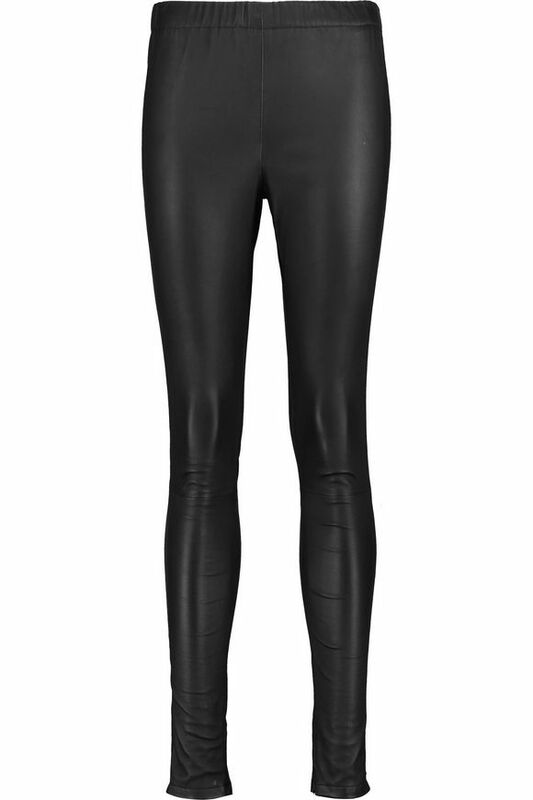 Thanks for reading and as always, I would love to hear from you in the comments below if you have found a pair of leather leggings you love (or indeed if you own any of the leggings in this selection) It’s always so useful for people to read feedback in the comments. 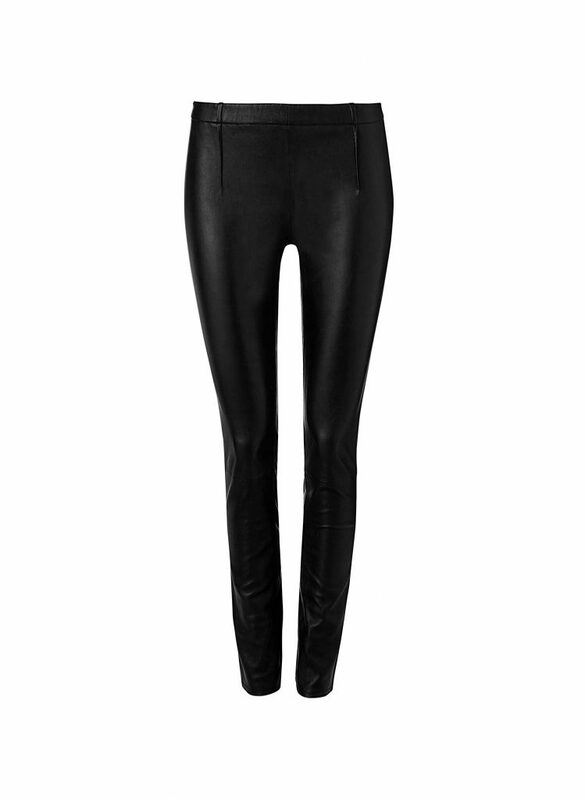 The All Saints leggings are faux leather – thought the price seemed too good to be true! I have a Joseph pair that I managed to nab for a song when mywardrobe.com went under. Love them. Great to hear. I think they;d be the ones I’d go for! I would so love to order the Dom Goor ones……do you think Dom Goor would give your followers a discount….. you never know!! The cleaning aspect has always put me off, that and the Ross factor (as in friends), so great to hear they are easy to care for and don’t make you feel all hot and sweaty. Inwear is a Danish brand, and are probably top end of the high street, they’re part of the Company’s group as are Part Two, Karen by Simonsen, and Decadent (who do the most amazing bags).